Stak Bots is an interesting card game about battling robots designed by Tom Norfolk and published by DogEared Games in 2013. It is playable by two or more players or teams and has variable rules modules so you can alter the complexity and length of each game. 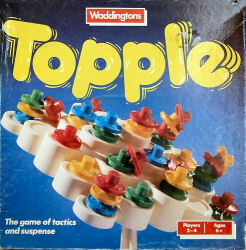 A basic two-player game can be completed in 10-15 minutes. 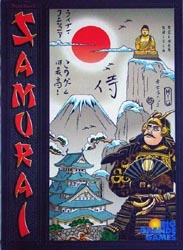 The game comprises a deck of 60 cards and a set of rules. The cards are good quality and have a nice feel to them. 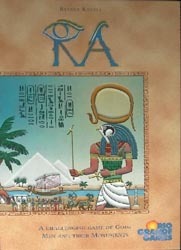 The illustrations are simple and the icons and text are clear. Each card shows one of sixteen different types of robot (â€œBotsâ€); its Power, the amount of damage it does and can receive; and details of any effects it causes when played. The rules sheet is well laid out and contain lots of information, although a few more illustrations showing how the game plays might have been helpful. Thatâ€™s not to say the rules arenâ€™t clear but illustrating how attacks work on a Stak would have made things easier. The idea behind the game is very simple: Try to reduce everyone elseâ€™s stack of cards (their Stak) to zero while trying to stop others from doing the same to you. Each player starts with a Stak of 9 cards with only the top card turned face up. They also start with a hand of two cards and the remaining cards form a face down draw deck. On a playerâ€™s turn, they draw a card and can then carry out any number of three different types of action in any order. Firstly, you can â€œPlayâ€ a card from your hand to the top of your Stak making sure you can still see any face-up cards below it. Certain cards have effects that trigger when you play them; otherwise the card stays on your Stak until you scrap it or it is destroyed. Secondly, you can â€œScrapâ€ (i.e. discard) a card from the top of your Stak or from your hand to the Scrapheap (discard pile). You may need to do this if you canâ€™t destroy an opponentâ€™s card (or choose to do it for tactical reasons), because at least one card has to be added to the scrapheap each turn. Finally, you can â€œAttackâ€ with the top card of your Stak. You can attack multiple times with the same card but only use that one card on the same turn. Attacking involves doing damage to the top Bot of an opponentâ€™s Stak equal to your cardâ€™s power and receiving damage equal to the power of the opposing card. Any card receiving damage greater than or equal to its power is destroyed. If your Bot attacks multiple times, its attack is always at full power, while the damage you receive accumulates until your Bot is destroyed or you end your turn, at which point you fully heal. As soon as a playerâ€™s Stak is exhausted, they are out of the game and the last player standing wins. Stak Bots is a game with a very simple rule set and, when you first start, it appears pretty mindless â€“ higher power cards are stronger so play those to destroy weaker cards and protect your own Stak. However, it is more about trying to combine the entry effects on cards with the cards already on your Stak that is the key to the game. And once you start to see these linkages, the game becomes more interesting. That said, there is some randomness in the cards you get in your initial Stak and the card you draw each turn so you can lose out just by virtue of the cards you get. However, the weaker power cards have better entry effects and so you can still feel youâ€™ve got a shot. In addition, the game is quick so even if you do have a bad hand, particularly if itâ€™s just a two player game, the agony isnâ€™t prolonged too much and you can soon go for a rematch. I like it as a quick robot-bashing hand-management game. Itâ€™s not the most sophisticated of games but it doesnâ€™t pretend to be and, in terms of what it aims to do, it does it pretty well. 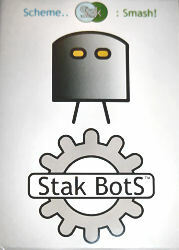 Stak Bots was released at the 2013 UK Games Expo and received good feedback. I also understand there is an App of the game being released this month so you can try that as well. On a playerâ€™s turn, they roll their dice and allocate one or more dice to one of the casinos. The casinos are numbered 1-6 and the player chooses all of the dice showing the same value and place them on the corresponding numbered casino. For example, if they roll three 1s, they place all of these dice on the number 1 casino. They retrieve their remaining dice for the next turn and play passes to the next player. This continues until all players have placed all their dice. Some players may get fewer turns if they roll a high number of dice with identical values, as they all have to be placed at the same time, but you donâ€™t have to choose the value with the highest number of dice. Once all the dice have been placed, each casino is assessed and the banknotes distributed. If more than one player has the same number of dice at a casino, these cancel each other out and are removed. 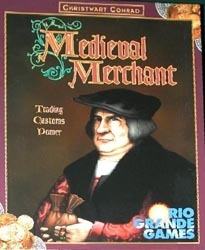 The player with the highest number of dice then receives the highest valued banknote. If there is more than one banknote at a casino, the person with the second-highest number of dice takes the next note and so on. Any notes not distributed to players are returned to the bottom of the deck of banknotes and all the dice are returned to their owners. 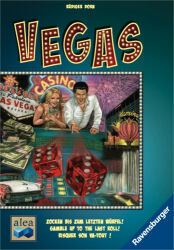 Las Vegas is a terrific game and has quickly become one of my favourite dice games. Each turn is filled with agonising decisions and, towards the end of each round, everyone is praying those final few dice rolls, where the active player is often forced to play on the casino matching the number rolled, don’t scupper their position by causing a tie. You don’t get anything for a tie in this game. Inevitably, something goes wrong for at least one person and there are lots of light-hearted moans at their bad fortune. I’ve played it both in a family game setting and with gamers and it has gone down very well with both groups. My description above of the basic version ignored the advanced rules for two to four players where, in addition to your coloured dice, you also roll some white dice which have to be placed alongside your dice using the standard rules and, for gamers, this elevates the number of things to think about and gives greater opportunity to mess with your opponents. All in all, Las Vegas hits all the right buttons with me and it was one of my six picks of best games originally released in 2012. And I’m not alone as it was one of the nominees for the German game of the year in 2012. Highly recommended. In October 2008, I was introduced to four great games for the first time. 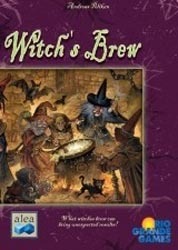 Witch’s Brew is a nice card game with lots of second-guessing and groaning when someone pinches the role you wanted. 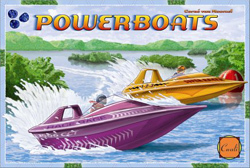 Powerboats is an under-rated race game where dice control your speed but you have more control than in something like Formula De. 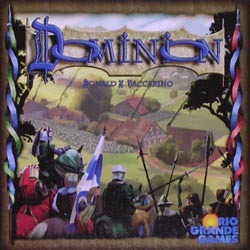 And the ground-breaking Dominion arrived amid a mountain of hype – luckily the game lived up to the hype. 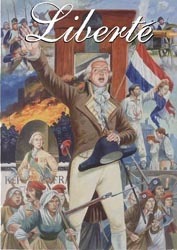 Five years earlier, I only got to play one game all month but that game was a good one: Martin Wallace’s Liberte is based on the French Revolution with players trying to gain the most victory points while guarding against the possibility of the game ending early through a landslide election victory or a Royalist counter-revolution. Finally, in October 1993, I played a couple of interesting but not top-notch games. 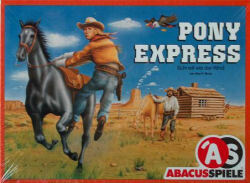 Pony Express was an Alan Moon design about racing across a Wild West landscape and Topple was a light balancing game, the plastic equivalent of Zoch’s wooden balancing games. September saw me play just 12 games of 10 different titles, 4 of which were new to me. The new games were Eight Minute Empire, Dungeon Roll, Sun Sea & Sand and Legends of Andor. I added two new titles to the collection which were Dungeon Roll and Legends of Andor. My unplayed games listÂ has shrunk by two to 29 this month and game of the month was a fairly easy call with the Kennerspiel des Jahres winning co-operative game Legends of Andor taking the trophy.